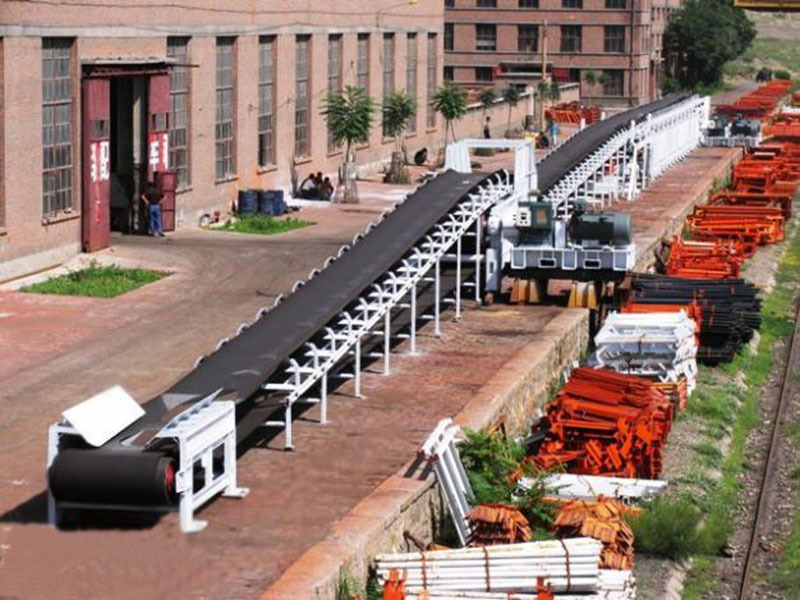 Product introduction: driven by friction, belt conveyer is a kind of machine which will transport materials in a constant way. 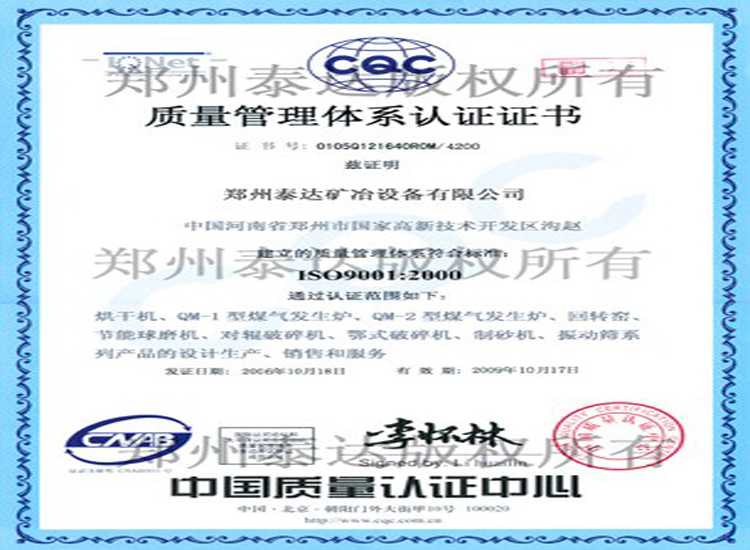 It is mainly composed of body frame, conveying belt, belt roller, tightener and transmission device. 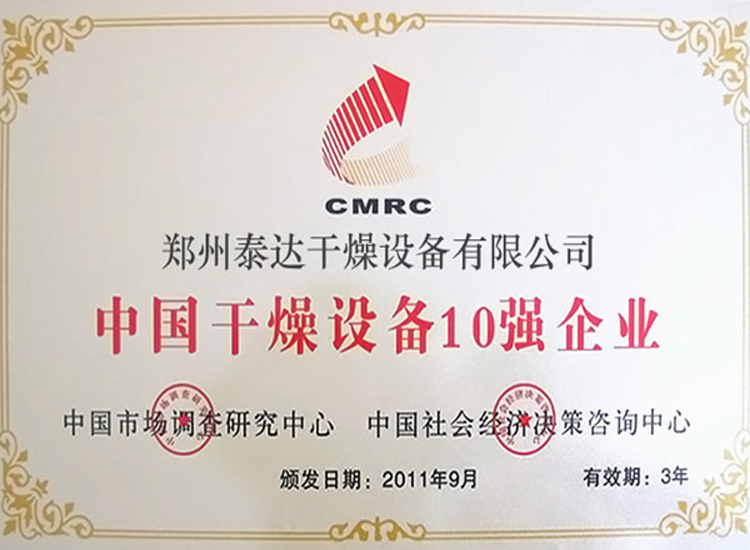 Machine body adopts superior materials. The height difference of front and rear landing legs forms a machineframe. Flat surface presents a certain slope. 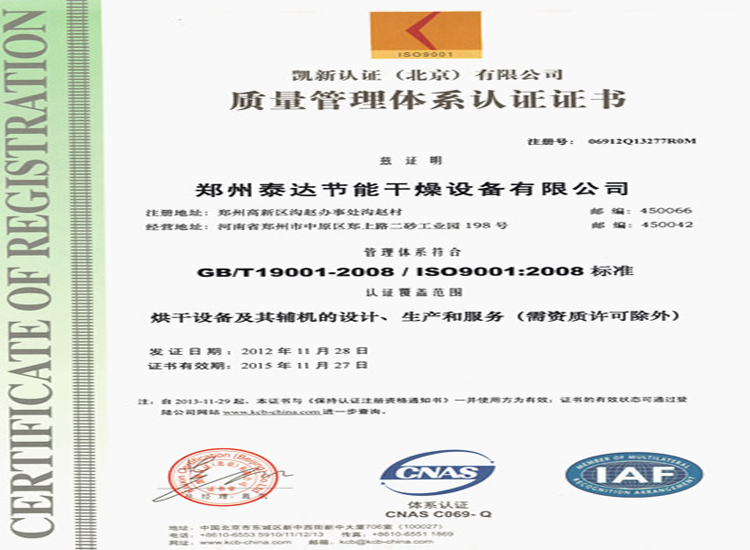 Applications: it is widely applied to mine, metallurgy and coal industries in order to transport loose materials and packed products. 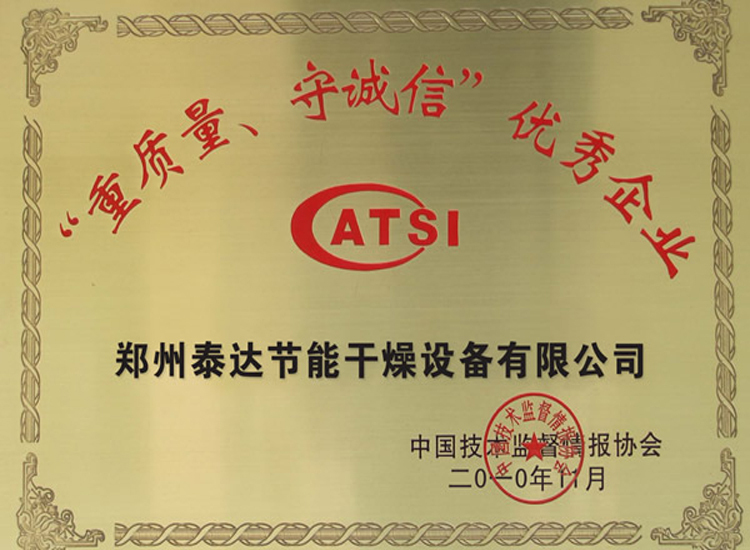 According to the process requests, users can adopt single transport. 5. Suitable for bulk sludge which is sticky and caking. 3. 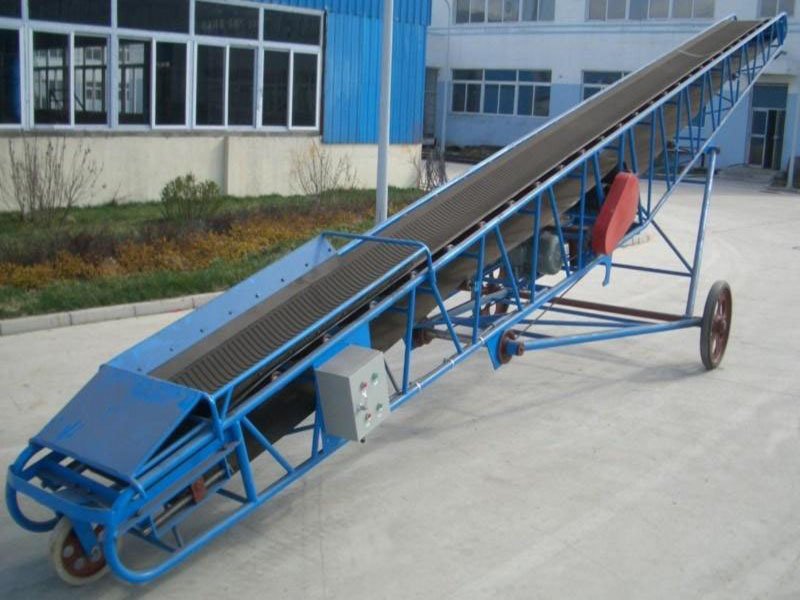 Width of conveying belt: B400, B500 and B800. 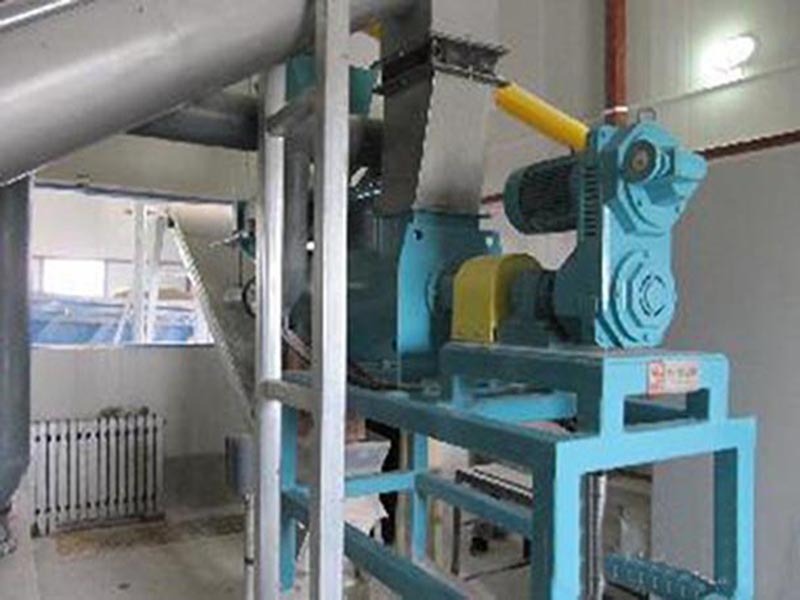 It is mainly composed of two end rollers and closed conveyor. 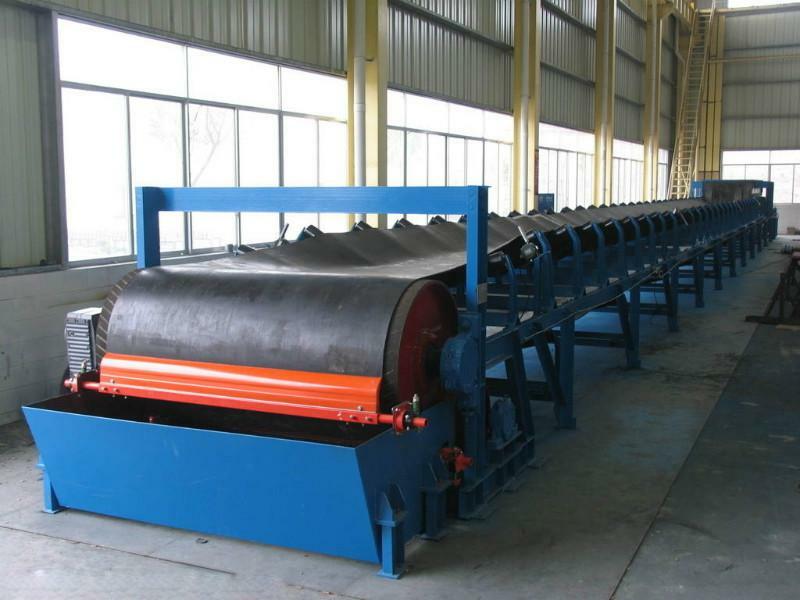 Drun which drives the rotation of conveying belt is called drive drum (transmission drum). The other drum which is mainly used to change moving direction of conveying belt is called turnabout drun. Drive drum is driven by electricity motor through reducer. 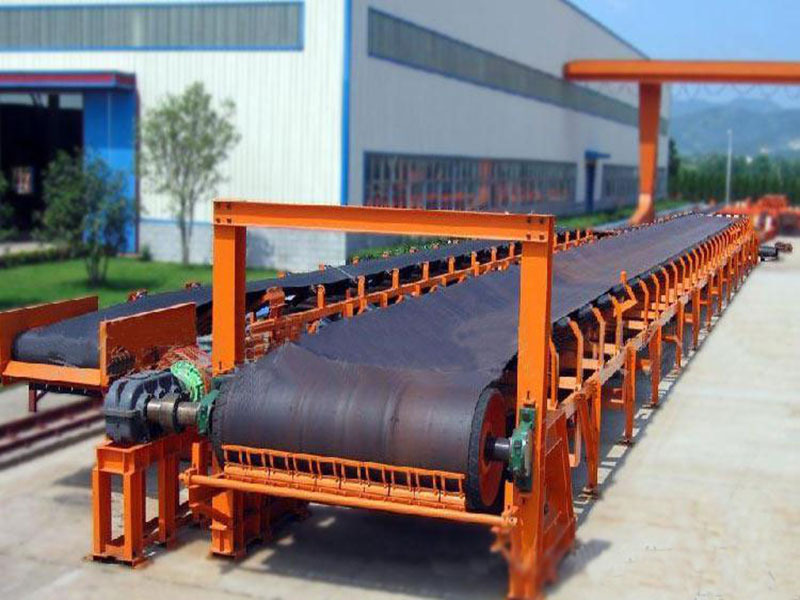 Conveying belt is dragged by the friction between drive drum and conveying belt. Generally, drive drum is installed at the discharger end in order to increase tractive effort which will benefit dragging. 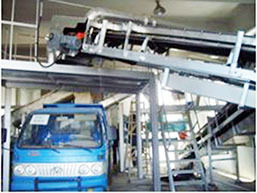 Materials are fed from feeding end and land on the conveying belt. 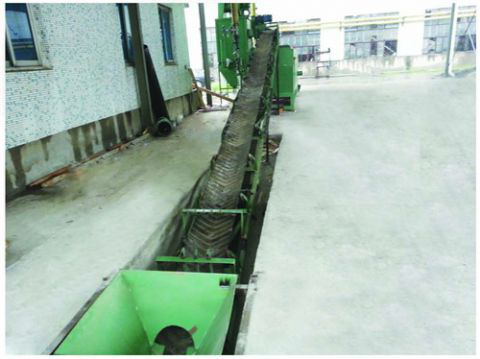 Then, materials are sent to discharger end relying on the friction of conveying belt. Note: technical parameters are subject to change without prior notice.